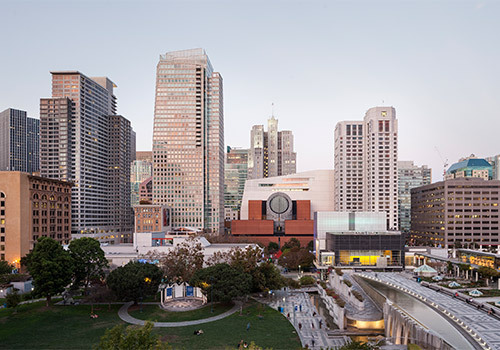 Dedicated to preserving art for future generations, the San Francisco Museum of Modern Art is filled with renowned exhibits and works of art. 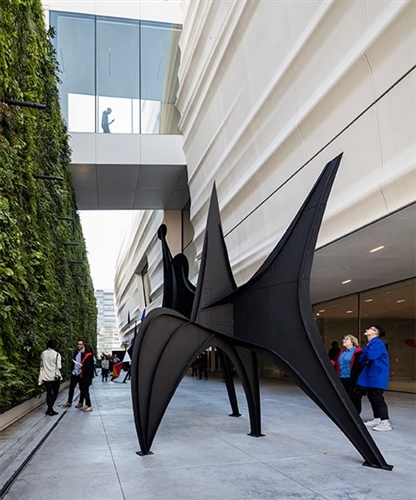 Recognizing all forms of art including media, film, paint, architecture, and more, SFMOMA features works by renowned, Bay area, and upcoming artists. With a growing collection of more than 30,000 masterpieces, this is a must-see San Francisco museum. 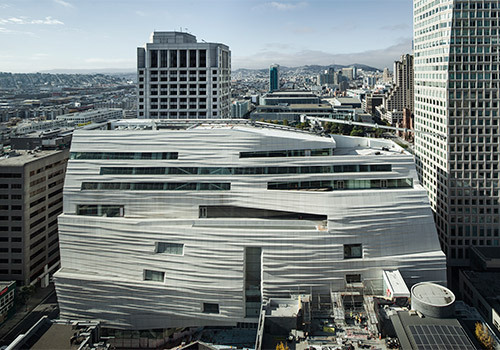 SFMOMA is dedicated to making the art for our time a vital and meaningful part of public life. For that reason, we assemble unparalleled collections, create exhilarating exhibitions, and develop engaging public programs. In all of these endeavors, we are guided by our enduring commitment to fostering creativity and embracing new ways of seeing the world. Open Friday–Tuesday 10:00 am - 5:00 pm and Thursday 10:00 am - 9:00 pm. 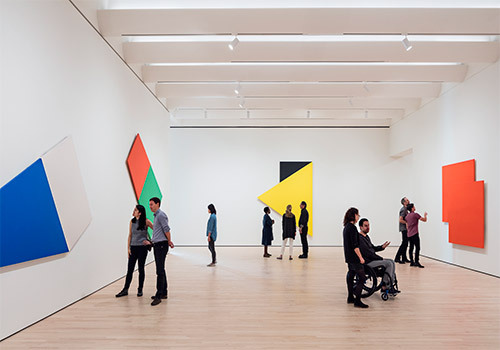 Have you been to San Francisco Museum of Modern Art? Share your knowledge and be the first to review this. "Overpriced and a waste of gallery time"
Once one has been to the best museums in Europe, what SFMOMA offers is a pale comparison. It just shows that one might be able to buy a few good works with money, but never a good collection. At $25 entry and no student discount, this museum is just for over-privileged fake people. The topmost gallery with German works by the likes for Gerhard Richter was interesting, but the lower levels were populated with American pop and other 'american modern' works that could be best described as junk! They were all pointless assaults on aesthetics. The best bit of the museum is the building. Mario Borta's entrance hall is impressive, and the new extension's wavy concrete facade is interesting. The huge green wall feature and the cafe terrace were however closed-off due to 'wet weather', despite no rain at the time. So best avoid on a rainy day altogether. The ticketing staff also failed to inform that an entire level was closed-off, along with some temporary gallery spaces. The staff at the reception could be best described as arrogant, unhelpful, and withholding information that is vital to a museum visit. Quite surprising attitude given the cheap modern junk the museum actually holds. All in all this museum offers very little value and viewing pleasure. Just pop into the lobby and be on your way! "Worth the trip if you have any interest in art"
First time at this museum. Went primarily because of my background in architecture and wanting to see the building as well as an excellent temporary exhibit on the Sea Ranch project. Overall, comfortable space for viewing art that you may not be overly familiar with unless you have an interest in contemporary or modern art. It's a bit expensive at $25, but an easy way to spend 1-4 hours in a city where everything is pricey. Loved the photography collection. The complimentary coat/bag check was also handy. It's on the floor before you get to the ticket counter. 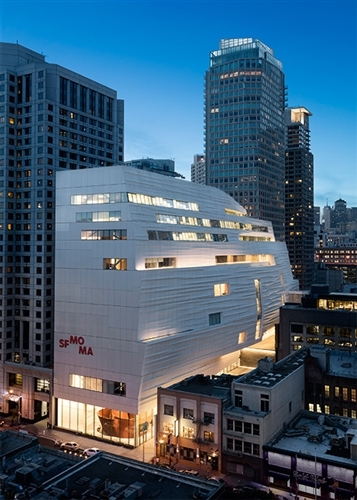 "We never miss a visit when we are in San Francisco"
SFMOMA is one of the best and easiest to navigate museums. The permanent collections and the temporary exhibits are worth the trip and the restaurant is great for lunch. And if you like to browse the book store, be prepared to spend a lot of time. 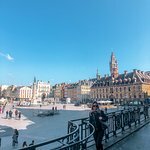 Do I need to purchase an admissions ticket to look at the public areas in the museum? The free public spaces on Floors 1 and 2 open at 10:00 am daily and do not require a ticket. Enjoy Richard Serra’s Sequence, Sol LeWitt’s Wall Drawing 895: Loopy Doopy (white and blue), and Julie Mehretu’s HOWL, eon (I, II), or visit our two Museum Stores. To enter the galleries, a ticket is required. Can I bring my food and/or beverages into the museum? No. Eating, drinking, smoking, or sleeping is prohibited in the Museum. You may bring sealed food and drink containers into the museum if they are packed away in a bag and not consumed inside the galleries. 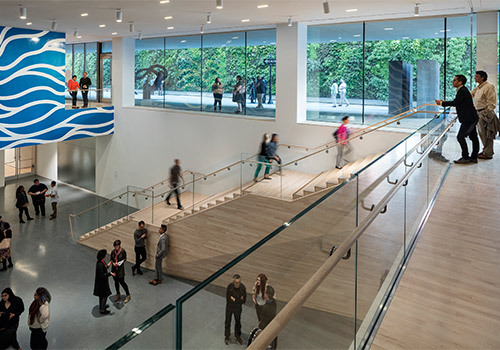 The San Francisco Museum of Modern Art has designated areas for eating and drinking including Café 5, Sightglass at SFMOMA, and In Situ. Unless otherwise noted on the gallery or specific exhibit, strollers are permitted inside the museum. Can I bring a backpack inside? Yes, however, backpacks must be carried or worn on your front at all times. Does the museum offer parking? SFMOMA’s garage on Minna Street is a few steps from the museum’s main entrance on Third Street. Plus, parking on site directly supports the museum, which means more great art for you! Limited bicycle parking is also available.